Our 60 Days or FREE Guarantee! Well, we set ourselves apart from most agents by being accountable to you. In other words, we don’t just promise to sell your home, we guarantee it. Our 60 Days or Free Guarantee is as simple as this: we guarantee to sell your home within 60 days or we will sell it for free! 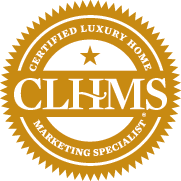 If your home sits on the market for longer than 60 days from the time we list it, we will continue to market it aggressively but charge you zero commission for ourselves. As you can see, we put our money where our mouth is. Instead of making you empty promises, we give you a written guarantee of performance and if we don’t live up to this agreement, you pay us absolutely nothing at all. We’re taking all the risks so you don’t have to and this gives our many clients much greater peace of mind in the homeselling process. To schedule an appointment, and learn how you can take advantage of the 60 Days or FREE Guarantee, simply leave us your contact information including your full name, and number where you can be reached.